Argentine tango events and performances | Need an original idea for corporate or promotional events, team building events, masterclasses, performances, gift certificates, artistic collaborations? Try tango! Romantic, addictive, unpredictable, passionate, spiritual…. 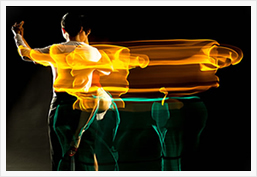 Because tango can’t fit in a few words, it naturally lends itself to a wide array of creative projects. At Tanguito, we simply love to see tango shine and add that little je-ne-sais-quoi to an event or project! 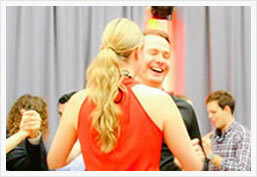 A tango team building event – Why not? Artistic, expressive, improvised, addictive, spiritual, passionate, unpredictable…. At Tanguito, we simply love to see tango shine and add that little je-ne-sais-quoi to events and projects! Are you in charge of organising events for your organisation, and constantly looking for innovative ideas that will impress your clients, directors, and employees? We have worked with large corporations, exclusive brands and organisations such as the Wellcome Collection and the Royal Festival Hall. Tango is a great way for colleagues to get to know each other on a one on one basis, it won’t make your staff feel like they’re being punished ‘army training style’ and it utilises core communication skills. It’s not forced because it’s social in nature, so the results will show. It’s also lots of fun. 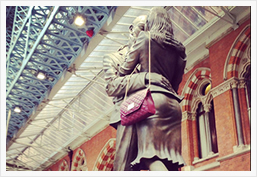 On Valentine Day, Jack French London transformed St Pancras International into the ultimate destination for fashion lovers. To celebrate romance, the designer launched a limited edition ‘St Pancras’ clutch bag in an irresistibly amorous ‘kiss me quick’ red. We danced to the music of a string quartet in front of a star-studded crowd that included Kate Moss and Beverly Knight. Very chic. The ‘Rhythm is a Dancer’ event from the Wellcome Collection is a series of events exploring the psychology and physiology of dance, and its impact on the body and minds. At the heart of the event: discussions and performances involving dancers from various disciplines, a psychologist, a neuroscientist and various other scientists as well as portraits by a fine art photographer. Tango is so gentle, warm, inclusive and generous, and we feel we’ve been given a lot by this marvelous dance. 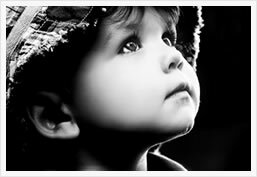 This is why we find it perfectly normal to give back and to work with charities. We participated to quite a few fund-raising events and private charity balls, during which we ran tango classes or performed for the audience. All rights reserved - copyright 2014 © Tanguito, Argentine Tango Academy. Any copy, redistribution or reproduction in any form of part or all of the contents or photos is prohibited. Tanguito® is a registered trademark under no. 2581948. We're at 134 Liverpool Road, London N1 1LA.